I’ve just had the most interesting theological discussion in a long while, about needing both darkness and light to find the truth and other related topics. etter than all other groups on the LARP, the precise details of our prayer pillows and how the fabric in our clothes would have been dyed. …because I just dreamed it. And there’s no way either the book or the movie could be better than my dream. It had monsters and magic and even marbling. I wish I had a dream recorder. I’ve already forgotten most of it. Or perhaps we’re just that much more awesome. Anyhow, my letters get from Sweden to America in less than half the time it takes for the letters going the other way. So I’m just saying… we could blame it on the time zones (and I’m confused enough by time zones to believe them capable of anything), or we’re just better. 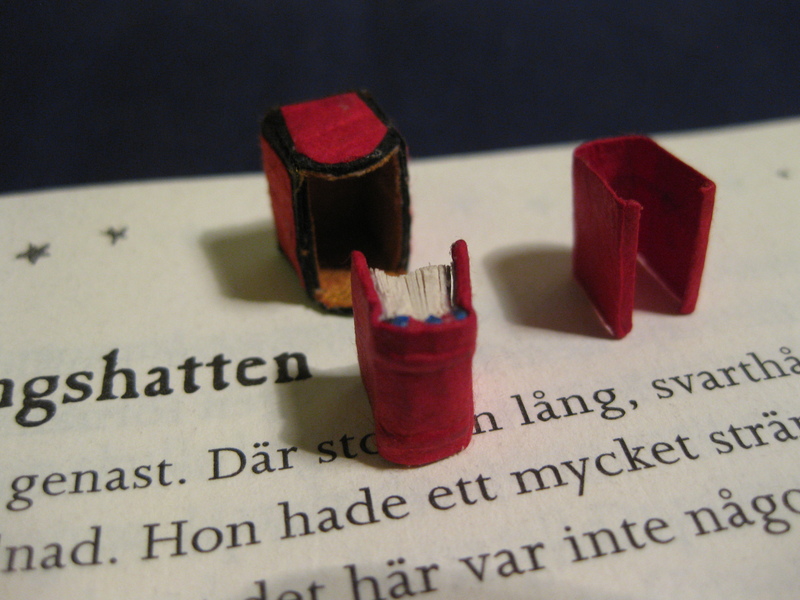 About 1,1 cm high book with hand stitched headbands, chemise and cassette. Red paper, yellow silk and a Harry Potter book as background. 1. Create a blog in English that isn’t full of fannish stuff. Check. 2. Post an entry every other day at least. We’ll see. 3. I can only use pictures of my old books and projects every other post. The rest must be new. But how will anybody know? Okay, let’s try! What is this then? Who am I? Oh my, that’s a tricky question. But let’s go with the easy answer. I’m a Swedish girl who is currently studying to become a bookbinder. 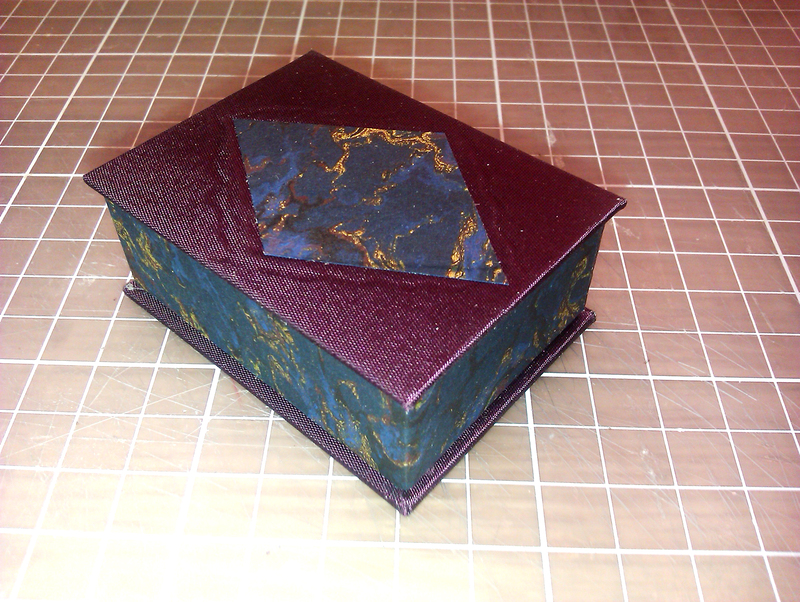 Or I am a bookbinder, actually, this last year is just for historical bindings. 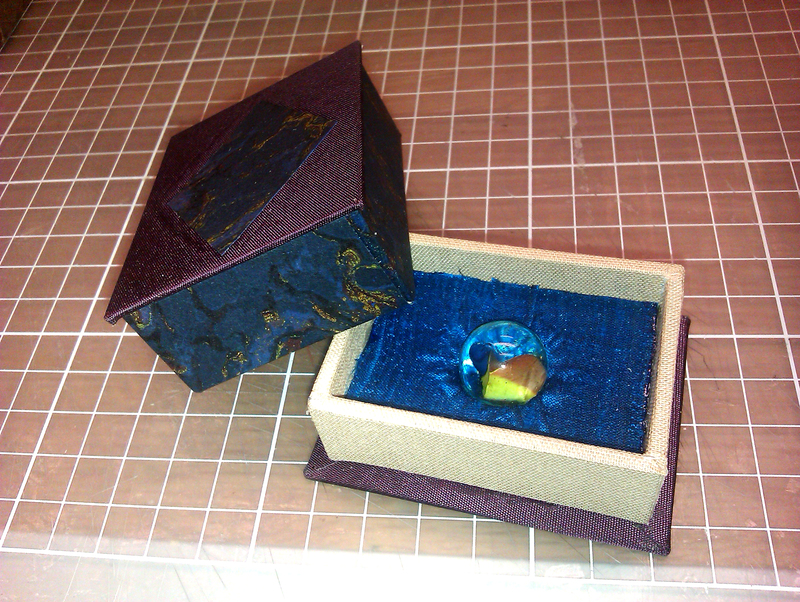 Whether I’m going to actually work as a bookbinder remains to be seen. I make books, sew clothes, write and dance. Sometimes I dabble in other crafts such as weaving, drawing and… well, we’ll see. I’m a flutist and a LARPer, a Scout and too lazy for my own good. This is my blog, which I will use for blogging. No, really. Here will be some stories, the few I write in English at least, lots of books and book-related crafts, and lots of me just rambling.